You’d think that any film with Brad Pitt on board will ensure that things will roll smoothly. I guess Columbia Pictures know better and wouldn’t bank their money even with the super star of stars on board if they figure that the script isn’t up to par. Up to par with what though, I don’t know. What we know for sure is that Columbia Pictures president Amy Pascal just backed out from backing “Moneyball” after reading the final draft of the script. 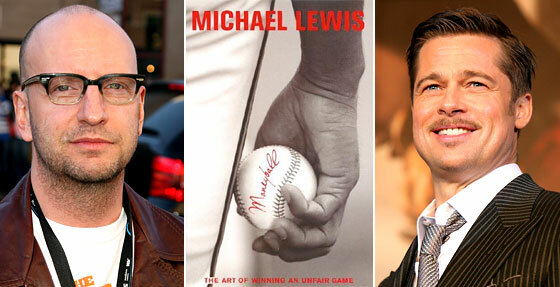 The “Moneyball” script was written by Oscar-winners Soderbergh and Steven Zaillian (Schindler’s List). It is based on the Michael Lewis’ non-fiction novel about the Oakland Athletics and their GM Billy Beane. According to Amy Pascal the decision to back out was due to the fact that they got “a much different final draft” than the one they agreed to produce. It must be so different for them to decide to pull the plug when it was already scheduled to shoot tomorrow in Phoenix. Director Steven Soderbergh and star Brad Pitt is now left scrambling around looking for another studio to fund the film. No news yet as to how they are doing on this one but you can be sure that for them this whole fiasco came from the left field. As for Columbia only the film coming out and the box office will tell if they made the right decision or if they’ll be regretting it all when “Moneyball” starts raking in cash. Of course, that’ll only happen if “Moneyball” actually gets to go on production.